Registration is NOW OPEN for our Fall 2019 Conference Experience! Join us this Fall from November 6-9, 2019 in Pensacola Beach, Florida. Every year, we bring 24 women together who are artists, makers, and designers in the creative industry for our Conference Experience in a beautiful home on Pensacola Beach, Florida, steps away from the Gulf of Mexico. This is the signature event we have become known for since our beginning in 2011 when we first began as Stationery Academy, and every year the transformations and renewed confidence that occurs in the women who join us during this four day, all inclusive workshop experience are incredible to see take place. Our Fall 2019 Conference Experience will be our 14th event, and we’ve developed each day with intention to help you gain the clarity and confidence you need to bring your business to the next level, while time to focus in on what matters most built in to each day as well. Watch our webinar here, where we covered all of the details surrounding this year’s Conference Experience! With details about the speakers, sessions, what we're doing differently this year than in the past to make this experience so much better, and so much more, you’ll want to watch this before registration opens on Thursday! As artists, makers, and designers, you’re creative business owners - you're creative founders. It’s hard to strike a balance between the creative side of our brain and the logical business side. Finding the time to create a business you love while honing in on the items offered in a way that only you can provide that will make you stand out rather than creating everything you possibly can is incredibly important, but it can be a challenge as well. So instead of looking at an overall picture to see what matters most, you keep adding more offerings, more products, and putting on more hats in your business, but you’re also finding that by doing so, you’re simply exhausted. Overwhelmed. Burnt out, or simply frustrated because you aren’t in the mindset to plan or know the decisions you need to make to move your business forward. And you know something needs to change. As creative entrepreneurs, we need to not only have the time to create our distinct products and services, we also need to be innovative, to adapt, and to have an incredibly strong foundation not only to continue to move our business forward, but keep it growing well, profitable and sustainable. Deciding to let things go and honing in on your why to create a business that will set you apart is not only difficult, but without guidance you may feel it is impossible. Perhaps you first started your business as one you were incredibly passionate about, and lately you’ve felt a shift happening, and you’re not sure how to find that passion once more. You may be wondering now how to get reinspired, or how to make the changes you need to build the life you love with a business you love just as much. Time spent at our Conference will help you to do just that. While we teach mainly on business topics in main sessions when you are here, we also encourage you to think about the life you want to create while you are not building your business. We are all meant to have an incredible life, and have a business that supports that life, not the other way around. When you head home from our Conference, you leave not only with an incredible community of women who are there to support you and lift you up while you pursue the dream of a business that has been planted on your heart to do, you also have the tools you need to create a life that you love. Our Conference is highly attended by women who are stationery designers, calligraphers, Etsy shop owners, graphic designers, artists, creatives and makers. Each woman attending participates in sessions designed with actionable takeaways, joins in engaging discussions, and becomes part of an authentic community. It makes such a powerful difference when you have people surrounding you who are there to help you think things through as you grow your business ... and we have witnessed the tremendous impact it can make time and time again. We encourage each and every woman to let your walls down and come as you are, so that we can help you right where you are in your specific season, and you can receive the tools, the knowledge, and the education you need to move your business forward well, with an incredible community of women surrounding you every step of the way. Our goal is to empower and educate each person who joins us, giving you what you need to create the confidence in yourself as a maker, artist, and designer, while surrounding you with women who understand what it is like to run a creative business. You’ll be doing a lot of powerful, thought-provoking and mindset-shifting work each day while you’re here, so our experience is all inclusive so that all you need to do is get here, and let us take care of the rest. Every detail is thought of, sweet surprises are nestled in to every day, and meals are even curated to your specific needs as well. We not only want you to feel pampered and cared for, but also seen for who you are and what you love. The Society for Creative Founders Conference is a retreat-like, four-day conference designed to re-focus and re-energize your business goals within a community of like-minded creatives. This all-inclusive experience will help you find clarity in the dreams you have and guidance from our experts and your peers with an on-going, elite community. You’ll find the answers to so many questions you may have, and you will leave with specific action steps and a business plan for your creative business. The transformations that happen for the women who join us and then apply what they have learned in their four days here at our Conference is incredible. And we hope you will be joining us for our next experience this fall. Our six speakers joining us this year with more than 55 years of business experience combined. These women are all makers, artists, and designers, and can't wait to experience this conference with you as well. They'll be present for every session, will be available for one-on-one sessions during our Conference for you to be able to receive experienced insight for your specific business while you're here, and will also be leading small groups each day. These women genuinely care about your success as a creative entrepreneur and we are thrilled to have them join us! Click on the + sign to expand and collapse the details for each speaker below. Chloe owes her success to the unassuming but mighty watercolor paintbrush. Originally from London, Chloe incorporates her British roots into her American dreamlike designs and business model. What started as a hobby while waiting for her green card turned into English Tea Paperie — first a lifestyle blog, then a custom illustrated notecard side hustle that evolved into a six-figure bespoke wedding invitations and papers design studio. Having been featured in Martha Stewart Weddings, Domino Magazine, and Style Me Pretty, among countless other publications, Chloe’s reputation for high quality design and attention to detail is no surprise. As if running a business full time wasn’t enough, Chloe also created a mentoring program for startups, a retail shoppe for her prints, and is an educational speaker for creatives all while balancing her personal life of being a loving mother, wife, and active member of her church. She has a passion for helping others reach their full potential through education and collaboration. Janet LeBlanc is a Certified Public Accountant, serial-entrepreneur, maker and mama located in Houston. In 2014, she founded Paper + Spark, where she offers educational content, tools, and spreadsheet templates for makers. Her goal is to help creative entrepreneurs become more confident and less confused about the financial side of running their business. Janet is passionate about empowering makers and helping creatives bring their entrepreneurial dreams to life with clarity. Erin Kendrick is a visual artist and arts educator from Jacksonville, Florida. She has exhibited work in museums, galleries and alternative spaces throughout the United States. After receiving her formal art training at Florida State University (BFA, Studio Art, 1999) and Georgia State University (MFA, Drawing & Painting, 2003), she worked for many years as a Studio Artist and Arts Educator in Atlanta, Georgia. In 2009, she stepped away from fine art and relocated back to her hometown to build a career as an Event Designer and Graphic Designer (E. Street Design Co.). Seven years later, she returned to art making and exhibiting in 2016. Erin is currently a visual artist, graphic designer, and arts educator, teaching at the University of North Florida and Jacksonville Arts & Music School (JAMS). She is one of the 2016 Community First Foundation Art Ventures Individual Artist Grant recipients, a two-time “Lift Every Student” Artist-In-Residence Grant winner, and a member of the Arts Advisory Board for Duval County Public Schools. In 2018, her own things, her first solo exhibition since restarting her art career, received critical acclaim and she was awarded Best Visual Artist, Best Art Exhibition, and Best Arts Educator in Folio Weekly’s Best of Jax 2018 poll. Erin maintains a studio at CoRK Arts District in Jacksonville, Florida. + Melissa Camilleri of Compliment, Inc.
Melissa Camilleri is a former high school teacher and the founder of Compliment, Inc., a lifestyle brand that seeks to encourage, inspire, and educate through kind words and thoughtful gifts. Though it started off as a college scholarship fundraiser for Melissa’s students, Compliment has grown to be an online destination for people seeking “gifts that uplift,” and give back. Since founding the company in 2011, Melissa has set aside 5% of all product sales to the Compliment Scholarship Program and has raised tens of thousands of dollars in educational funding for girls who dare to dream big and break the cycle of poverty in their families. Ever the teacher at heart, Melissa is the also the founder of the acclaimed 21-Day Instacourse plus many other workshops and trainings where she helps people discover their unique gifts and talents, and spread their messages through world-class educational design. She lives and loves in Northern California with her husband Nick and their two baby boys. As the owner of the Society for Creative Founders, Kristin works closely with artists, makers, and designers to help their business to grow well. 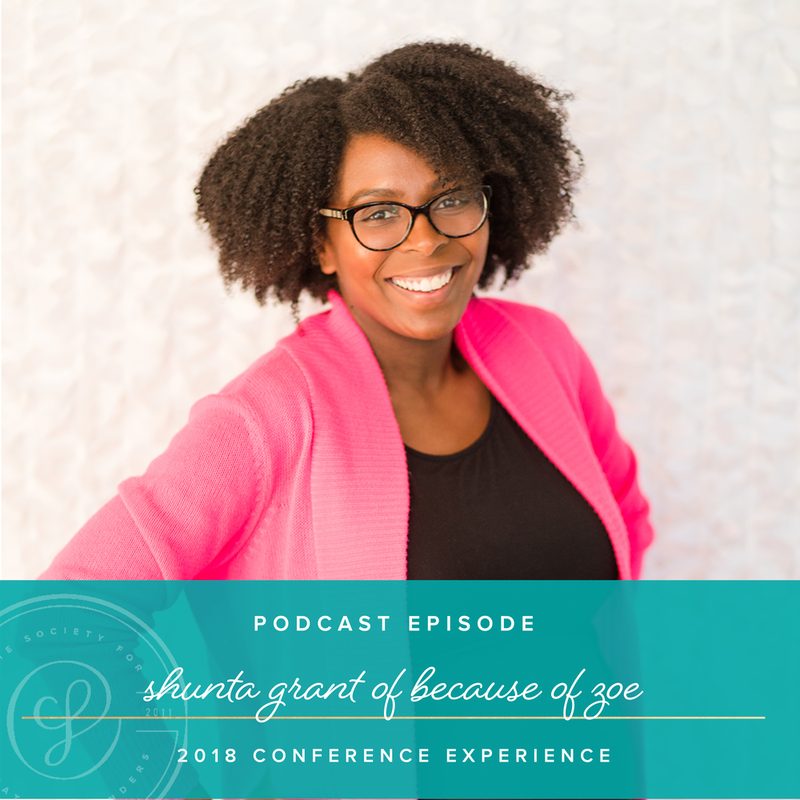 She fosters an online community, the annual Creative Founders Conference, and additional in-person retreats with guidance and knowing that all businesses can be successful with the right tools and education. Beginning her entrepreneurial journey as a wedding planner, she was also the founder of Grace and Serendipity, a custom invitation design business specializing in the art of letterpress. Kristin was named one of Stationery Trend Magazine’s Top 40 under 40, and her work has been featured in Style Me Pretty, Green Wedding Shoes, Cosmopolitan Bride, Wedding Star, along with local publications. She is a wife and a mom to three who lives in Pensacola Florida, and on any given day you can find her with reheated coffee in hand and an instrumental playlist humming softly in the background, wholeheartedly pursuing the adventures that life places into her path. Emily Ley is the founder of Simplified® - a brand of planners and organizational tools for busy women. Emily has been featured in Forbes, Family Circle, Better Homes and Gardens, Glamour, and Good Housekeeping. She has been recognized with numerous awards, including Best New Product at the National Stationery Show as well as Top 10 Designers to Watch by Stationery Trends Magazine. Emily and her team recently collaborated with AT-A-GLANCE® to create gift and planning collections carried in Office Depot, Staples, and Target. Emily is the author of national bestselling books, Grace, Not perfection: Embracing Simplicity, Celebrating Joy and A Simplified Life: Tactical Tools for Intentional Living. Now as an author, entrepreneur, wife and mother to three, Emily lives in Pensacola, Florida with her husband, Bryan, and their son Brady (8), and twins Tyler and Caroline (4). Your Core, Your Client, Your Brand, Your Marketing, Your Money, and Your Plan. Every session of our Conference Experience that will help you to either establish your foundation for the first time, or revisit it to make your business even stronger moving forward. Each of these sessions are led by fellow creative entrepreneurs who are experts in these specific aspects of their own businesses, and the content they will include in their sessions will be delivered in a workshop setting. These are all high-level discussion topics, where we will not only be walking you through how to set up strategies, you’ll learn tangible things moving forward. At the conclusion of each session, you’ll have already accomplished movement toward your goals, having spent time implementing what you’ve learned in the sessions themselves! Our speakers don’t give presentations where you take notes to work on things later …. we have time built in to every session to work on the things you’re learning right there with us, each and every day. Each of our sessions build upon each other, and are designed to be both empowering and educational for every business owner who joins us this fall, to help you succeed from the first moment you join us at our Conference. Click on the + sign to expand and collapse the details for each session below. Finding your voice is necessary to help you stand out from the crowd no matter what business you’re in. Your unique voice is what draws clients to you and what keeps them coming back for more. Use an artist's sensibility we will walk through the process of finding your unique voice through a series of creative exercises. The difference between brand, voice, and tone, along with identifying your influences and developing your own voice. + Your Client | Who is your Client, really?? Will knowing my ideal client really help grow my business? How do I figure out who my ideal client is? How do I reach my ideal client? These are really important questions to ask when starting your business, but also on regular basis well into your journey as an entrepreneur. Learning to authentically connect with your audience allows you to create successful workflows, marketing plans and product/service packages, which will ultimately streamline your business, allowing you to maximize your profit. Who is your client really and how can you authentically connect with them? how to bring it to life for business events such as tradeshows, bridal shows, etc. "Getting to Know Your Money" will include an overview of your business finances from all angles, leaving you with the confidence & clarity you need to go home and conquer (or embrace!) your numbers. Janet will walk through topics like doing the books for your business, understanding your tax responsibilities as an entrepreneur, setting smart financial goals for your business, and how to truly price for profit. We'll discuss each of these topics without the usual overwhelm or dread that comes with learning about these topics. Everything will be in plain English, tailored especially for our creative industry, and all questions will be welcome! have a better grasp on your financial responsibilities as a business owner when it comes to both bookkeeping and taxes. led by Melissa Camilleri of Compliment, Inc.
One of the biggest lessons we end up learning as creative businesses is that doing the creative thing we do to make money is only about 10% of what we need to do to have a successful, sustainable business. The other 90% is marketing. Marketing may feel like a dirty word to creatives, conjuring up images of slick Don Draper types, pulling fast ones on customers. But really, marketing our products and services can and SHOULD be an exercise in extraordinary empathy. When we are able to deeply empathize with our customers/clients needs/wants/desires/frustrations/joys we are able to serve them in a way that makes our brands magnetic and irresistible. Selling becomes easy. Showing up and giving our best becomes more than enough. Showing up and giving our best becomes more than enough. Strategically and gracefully marketing is how we get there. Learn how to deeply empathize with their potential customers and how to communicate the value of your products and services so that working with you becomes a no-brainer. Discover where their people are hanging out online and how to get in front of their eyes and stand out as their clear choice. Understand how to integrate their core, client, and brand into all parts of their marketing without feeling slimy, salesy, or stumped. Learn how to quickly and authentically generate content that connects with your dream clients hearts and minds -Choose one product/service they offer and write a marketing plan for it during the session. Our final session is focused fully on creating your business plan. We will walk through all of the details needed to make a solid plan moving forward. We'll talk about different planning processes, set goals, talk about opportunities and how to expand your horizons, and make an actual plan so that when you head home that day you are ready to begin for the moment you begin. You will have a plan starting first thing on Monday morning so that you can keep up the momentum you gained during your time spent here! After our main session together, you can choose to continue to plan in a group setting, or find a quiet space where you can fully focus on what you need to in order to create a plan for success. In the past, we’ve had breakout sessions in addition to our regular sessions, but so many times, our attendees told us that they went home with so much information, but wish that they had more time to process what they were learning and talk with the speakers, along with thinking through what to implement for their own businesses. We don’t want to just fill you with so much information that you go home overwhelmed. In fact, we want it to be the opposite of that entirely. So this year, we’ll have small groups each day to further expand upon each session and give you the opportunity to focus and work through the things you have learned, with more quality time with each of our speakers as well. By doing this, you’ll be able to go home with even more of a plan, rather than needing to figure it all out on your own without more of an established community by your side. If you feel that you need, or want, to have specific one-on-one time with our speakers to go over specific details concerning your business exactly, one on one sessions are also able to be booked each day with the speakers throughout the Conference. More details will become available to our attendees about these at a later date, prior to the Conference. If you would like to learn more about our Conference in the weeks ahead, sign up below. The 2019 Society for Creative Founders Conference will be in Pensacola Beach, Florida. You may notice right away that this is different from the "hotel conference rooms" experience. It is very important that we have a space where we can open the doors and see the beach, have a calm, relaxing atmosphere, and the intimate setting where genuine conversations can naturally unfold, having meals catered both at our beach house and nearby restaurants. We're striving to develop even closer relationships and late-night conversations with this retreat-like experience, so our Conference takes place in a private beach house we have to ourselves with all the comforts of home. We know that a lot of your experience is based on how you can unwind. So, we've set it up in a way that you get to choose if you have one roommate or three determined on the room type you choose when you register. You can determine what works best for you with the way that you will learn the most here. The expansive balconies, sunset views, comfortable common areas, and having the beach literally right outside of our door will all allow for lots of late night chats in a more comfortable environment after our sessions conclude each day. Early Registration Rates range from $2499-$2899, and are available until April 31. If you need a payment plan, we have you covered! You can reserve your spot for $600, and register with a monthly Payment Plan that begins the day you register through October 7, 2019. Payment Plan Codes are listed underneath each room. Use the arrows on the left and right to read through a few testimonials from a few women who have previously attended our Conference. “Before I attended this conference I had a lot of self-doubt. It felt like I was right on the cusp of making some necessary changes in my business and life, but I was in need of a gentle nudge in the right direction. I was able to see the concrete action steps need to make my dreams a reality. After the conference, I had a roadmap in addition to a renewed confidence and sense of creativity. [If I hadn’t attended the Conference], I would probably be feeling stuck and spinning my wheels. I would have a to-do list a mile long and self-doubt would be holding me back. I was nervous about having roommates I wouldn't click with, but from the moment we all stepped into our shared room, there was an instant camaraderie. Everyone was so kind and open - it was a really special experience to share a room with 3 other women who were so wonderful! I think if I'd had a room by myself, I would have definitely been missing out on the opportunity to connect with some of the ladies on a deeper level. The late night chats we had in our room were some of my favorite memories from the conference. “Being such a shy person, I'm always hesitant about meeting new people, but this conference was beyond phenomenal. I feel so supported and encouraged. What is poured into you at this conference is beyond what you can imagine. It's worth every moment of your time, and you will be a better business owner, woman, and person because of the time spent at SCF. Even though they were all invaluable, the Plan session had me in tears, because that session alone was what I needed to be reminded that I'm building a life. My business is supporting that dream life that I want for myself and my future family. I deserve to have what I need and by planning effectively, I can come closer to making that happen. I felt more connected with the other women because we were in a house. At any given time, someone was chatting or laughing or giving advice. The beach house provided us with a sense of closeness that we wouldn't have been able to get anywhere else. “180 degree turn! My lack of knowledge all things business related and the lie I had bought into all my life that I wasn’t capable of learning this side of things got squelched through this conference experience. Sitting under the teaching and wisdom of these women who aren’t there to judge but rather to help educate and empower you no matter what point you are in on your journey opened my eyes to the truth that I can do this...I am capable of setting value to myself and my work and creating a professional business with my art. Being surrounded by such a community of creative women as I was who were all for one another was and will forever be life changing to me. [If I hadn’t attended this Conference], I would still be unaware with how little I knew but with the lie of not being capable to grasp business talk, I wouldn’t grow much at all...in fact I think without attending this conference, I would be close to peaking and eventually burn out as a result of my lack of knowledge, focusing more on my products and selling to people rather than figuring out my own voice and proudly sharing what I love, to not valuing myself, my time, and my gifts before someone else did. I needed to hear specifically that rather than focus on product making on what sells, to search and discover my style, my passions...my own voice and share that voice with my head held high with the world. I have spent a majority of my life listening to others share what I should be doing with my art and doing what they said with the main objective of thinking of the consumer. I felt inspired and challenged to choose a new perspective to have with my art and the excitement and joy in what going in that direction would be like. “I just left my full time career and was of course ambitious to take my business to the "next level" (which I now use very lightly!) However, I was unsure what to do to try and make bigger and more refined. I also felt sort of a mess- how can I do this while taking care of my kids and balance all other at-home responsibilities? I was certainly looking for advice more than answers, to help me understand where to go from here. The inspiration from the speakers and other attendees alike was so valuable in changing my mindset and self worth. I was always a firm believer that mindset can change anything, and I am so glad the conference reinforced this and then took the extra step to show me how to apply this shift to my business and personal life. While I am a firm believer and graduate of Google University, I strongly believe that business owners need to invest in proper education for their businesses to be successful. Something that goes beyond social media, beyond asking other creatives questions. It is so valuable to LISTEN to others and then APPLY content to your business and lifestyle. "It has been a week since I've been home from the Conference, and I feel a tangible difference in my disposition towards my business. In the weeks and months leading up to the conference, I felt frantic and anxious throughout the workday, always rushing to get from one order to another, ending the day breathless and left with little energy for the things I love to do outside of work. After working through the sessions and experiencing the community of Society for Creative Founders, I feel a different sense of peace throughout the week knowing that I have a clear direction for the future of my business. Not only to do I feel relieved, but I find myself approaching my work with a greater sense of urgency and excitement, knowing that I have a stronger foundation for what I want my business to look like this year and in five years. I know that I have a huge mountain of tasks ahead of me, but I left with an increased sense of confidence in my ability to do the work. I feel incredibly inspired to support the women around me and continue to build community. ...[this] is not a 101 course. I gained a wealth of knowledge from the content of the sessions themselves. 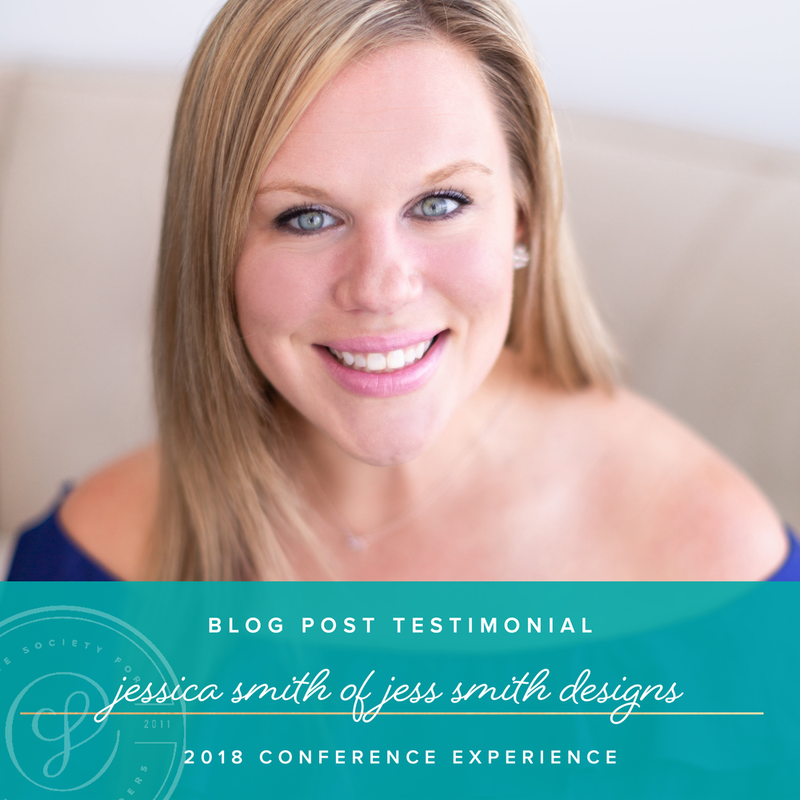 Though I have attended several creative conferences in the past, I found myself working through exercises that were totally new to me and had a huge impact on the way that I now think about my business. The breadth and depth of the content genuinely exceeded my expectations. Each minute was used intentionally for learning and community; there was no wasted time. Furthermore, the community was outstanding. I also gained so many quick tips about the stationery and product world that I picked up and jotted down in fleeting moments throughout the experience--the kind of insider knowledge that is only possible when you get a group of like-minded and paper-loving businesswomen together. Most importantly, I gained a sharper perspective on the mission of my business and the type of life I want to build, with my business as a key component but NOT the center. I had some staggering realizations about the way that I have been operating in over the last two years and how unsustainable it is, and I know that I will operate very differently moving forward." “I was at a stalemate in my business prior to the conference. There were paths of uncertainty before me that were neither bad nor were they great. I could continue on the way I was going and selling product because I could, but lacking the joy in that, or try something a little different and go down a path that might be scary and unknown, but that may open opportunities for growth and loving my business again. I wanted to attend the conference to find the joy I lost in the work I do by getting fresh perspectives from other creative professionals and feeling inspired again. The Creative Founders Conference surpassed anything I could have imagined. Being surrounded by creative women who know what it's like to run their own small business – being able to bounce ideas off of one another, and challenging and encouraging each other was the BEST! Having a creative-based conference ocean-side helps inspire us and refresh our business and mindset. When you're in a creative space, I think it can only lead to more creativity and awesome brainstorming! "There was so much information to soak in, I felt like a sponge. I gained so much reassurance. ...reassurance that I was not the only one with my head in the clouds, not the only one who has fears. I gained a very real "we're all human" mindset. The speakers and sponsors, they're human too. They can make jokes, they can be vulnerable. We were all of the same, and knowing that helped me tremendously. Going in to the conference, I was a little nervous about what I'd leave with. "I know this stuff," I thought. I was wrong. I simply learned SO much more than what I thought I already knew. I refined it, perfected it. I had a general idea of where I wanted my business to go. Attending the Society for Creative Founders conference was like hiring an intense three-day business mentor that REALLY laid your thoughts out to a feasible and reachable plan in order to reach both short and long term goals. You may think you know this stuff, but having a support system to evaluate and encourage you along the mapping-out of your business, this was invaluable. I've heard from so many how wonderful this conference is and that I wouldn't regret going. The biggest push in my decision was being able to unplug and step away. Like any artist, you often need to step away from your sketchbook, only to come back to see what changes need to be made. I knew the Conference would allow me to do just that. I just got the feeling that if I left only with a sense of rejuvenation from a three-day get-a-way, that would be enough. I left with so much more than that and I'm so thankful I decided to go." “Before the conference I didn’t quite know how to take my business seriously. I had lots of floaty ideas and dreams but I didn’t quite know how to move forward, let alone IF I was capable of doing big things. I learned so much about what it is that make me special as an individual and business owner, and I walked away with a confidence I’ve never before felt. I have never felt so sure and so ready before. I’ve spent so many years in business and in life just reacting to what comes my way. Not taking the ownership I need to really set my own direction. It is so easy to get caught up in the same patterns, the hustle. Had I not attended the conference I’m sure I would have continued right along the same track. I loved that the venue gave us the opportunity to spend all of our time together. It was nice that every space was ours and we didn’t have other people around. It helps to lower inhibitions I think. I can’t imagine that this would feel the same in a traditional hotel. The attention to detail, the every second of being cared for and gifted to and doted on and built up was amazing. This is the sort of thing that is nearly impossible to put into words. I am not a different person after walking away but instead the exact same me only with a passion and confidence and sense of purpose that is more powerful than I could have imagined. This entire experience truly was a GIFT. "Prior to the Creative Founders Conference my business was a bit stuck. Not necessarily in direction, but in energy, motivation and inspiration. The lack of energy and action was resulting in a lack of work and revenue. Like many of us I had a list of to-dos and mile long and an awareness of where I needed to focus my energy...the energy I didn't have. This conference was a big huge massive pause button for me. On my life, my family, my work and my thoughts. It was a time for me to step back, breathe and be reminded of who I am, who's I am and what I am called to be. I needed the type of inspiration and reality check that I can never give myself...working for myself, by myself. I was able to regroup, prioritize and breathe new life into the dreams, projects and aspirations that I had. Not only did I walk away with a new sense of confidence, a rush of creativity, a new set of friends and family, and a whole lot of energy, but I walked away with a plan to make it all a reality. I will remember these 3 days for the rest of my life as a critical turning point in my business and in who I am as a business woman. The time out and time of focus, clarity and rejuvenation is needed as much if not more than any other resource or thing I thought I needed to make things work. I would even venture to say that this sort of thing is needed more than just once, but should be incorporated into our business's annual or bi-annual development and planning." "I loved learning from these women who know their stuff and actually putting the pen to paper and doing the work when we were in the room. Once I got home I had to hit the ground running and at other conferences I had to go home and do the work AFTER. I loved how we filled out the sheets sitting there at that moment so I got to come home ready to take action. I got to feel like I could be 100% authentic here and absolutely myself. Sometimes other conferences make you be quiet or more reserved and are SO so serious that I leave feeling like “did I really get to know anyone here?” This one was absolutely my favorite because I got to just be me –confetti and all. I am turning in my notice to leave my full time job. This was the last and final push I needed to take that leap and the money module helped make the financial piece of this puzzle crystal clear. I felt so supported, encouraged and SAVVY about my business moving forward. It is education heavy which I SO greatly appreciate. I felt like I didn’t hear things that I had already heard at other conferences. I was concerned initially that my business may be too far along to attend Stationery Academy and it was more for beginners but I couldn’t have been more wrong. I think there is room for anybody and everybody to learn if they have an open mind. I had this on my list of workshops to attend, and timing was right! The webinar that [SCF] hosted was what made me pull the trigger. This conference exceeded my expectations. I am so excited I was able to attend and feel like it was absolutely worth the investment." If you'd like to read even more about our Conference in the form of a blog post that a few of our Attendees have written, click the images below to go directly to their websites to read more about their personal experiences! Thank you! You have now been added to the Details List for our next Conference. We can't wait to share more about our Fall Experience with you! Add me to the 2019 List! + When should I plan to arrive and depart? Please plan to arrive on Wednesday, November 6th at 2:30 pm CST, as our Conference will begin at 3:00pm. For departing, We will have a "soft-close" for our Conference this year. This means that if you would like to head home on Saturday afternoon after our lunch ends at 1pm, you can do that. If you want to book a One on One Session with our Speakers, we suggest to plan on booking a flight that departs after 6:00pm on Saturday. All attendees must head home by 4:00pm CST on Saturday, November 9th. + What should I do if I arrive before the Conference begins to Pensacola? You can arrive as early as you would like to Pensacola! We simply want to express that the house will not be available to enter until 2:30pm on Wednesday. You are able to drop off your luggage, but it will literally be a drop and go option. Please contact us if you have additional questions about this in particular. + With the Conference at a beach house, will we have housekeeping services like hotels have daily? One main goal for our Conference Experience this fall is to feel a little bit like a vacation with a relaxed environment and less like the traditional Conference Experience in a hotel, and so in order to do that, we did have to make some adaptations. The house we will have to ourselves for the entire Conference Experience does not come with a housekeeping service, so we will not have some of the amenities included that come with a hotel, like a daily maid service or room service. We will still provide fun amenities that you typically have at a hotel, but it definitely will be different than a hotel stay. Since we are all adults, we'll plan to keep the common areas clean ... keeping your rooms clean, however, will be up to you. ;) Are we implying you'll need to do things like wash dishes or take out the trash? No, absolutely not. We definitely plan on pampering you a bit and want you to truly enjoy every aspect of your time while you're here. However, if you want to order room service to be delivered to your room, well, that won't quite be an option. If you have additional questions about this since it is different from a typical hotel experience for your stay, please let us know! + Is the Society for Creative Founders Conference right for me? This conference and community is for makers, artists and designers creating original, private label products. Over the last seven years since we began, our Conference has included attendees who are artists, wedding stationery designers, branding designers, website designers, stationery designers, graphic designers, illustrators, hand letterers, calligraphers, artisan gift designers, interior designers, event planners, jewelry designers, cookie designers, and crafting bloggers. Each one of these women found it to be a great fit for what they were looking for specifically in their business. We've had women join us who have an Etsy shop but don't have their own website yet, or on the flipside, those in this creative industry who are wanting to move into another side of it, and they come to set up a plan and focus entirely on their new venture while they're here. If you're planning to sell anything you create, make, or design as a tangible product (even printables), this is the place for you. + I'm not sure I can attend this time. When is the next conference? There is only one in-person conference each year, so if you don't want to wait until the fall of 2020, you'll want to register for one of our seats now. We do not currently have any other in-person events planned for 2019. + What are the prerequisites for attending the Conference? Typically, our attendees are solo-entrepreneurs who have been in business for 1-8 years, but we have also had people join us who have been in business for a few months or more than 10 years to think of it as a business refresher as well! Our sessions this fall are designed to meet you wherever you are on your business journey – it gives you an intimate, open, interactive format to learn, share experiences, triumphs, trials, and connect with others who’ve either been in your shoes or are standing right where you are now. If you're feeling like you need to hit the reset button on your business, or you're ready to get serious about your part-time hustle, you should join us. + Do you have payment plans? Yes, we do offer monthly payment plans! You can reserve your seat for $500 at any of the rooming options available. Check the individual room information on for a monthly breakdown for payments. All registrations, even if done through a Payment plan, will be paid in full by October 7, 2019. + Where do I book my room? Accommodations are included in your registration fee. Roommate assignments will be made by us, unless you request otherwise on your registration form. + Is there a rate that doesn't include staying on-site? Part of the experience of the Conference is the “retreat” and bonding with the other 24 creative entrepreneurs that attend. In addition to the content, resources, and education, the relationships you will create are invaluable and they continue past your time with us. We have experimented having a rate without an on-site experience included and saw a significant difference in the experience of the women who didn’t stay in the house vs. those who did. All registrations include your accommodations. + How do I know who my roommates will be? Unless you specify a particular roommate, your roommates will be the women who sign up to be in the same room with you. We have found there are tremendous relationships made every single time, and many roommates become long-term accountability partners far after the conference has ended. We will let you know of your roommates prior to the conference so that you can say hello to each other this year too! You'll know everyone attending because we'll open the conference Facebook group soon so you can get to know the other attendees. Your favorite pen for note taking and 25 business cards, and a pair of flip flops. ;) In terms of what to wear, we suggest stylish but comfortable during the day and for most dinners. Our last dinner will be a bit business casual. Make sure to bring comfy lounge wear for evenings on the porches. A more detailed schedule and suggested dress code will be delivered closer to our time together. As usual, please don’t hesitate to let us know if you have questions! We pay careful attention to your restrictions, allergies, or aversions and will tailor your meals to suit your needs. Expect a follow up email after our menus are selected to confirm they will be appropriate for your dietary needs. + How many people attend and what is the content like? Our Conference this year includes 17 attendees and 6 speakers. A small group allows for a lot of time to dive deep into the content and learn from each other. We'll spend some time as a group in the main room for our main sessions, while also breaking out into small groups for breakouts that are focused on helping you to work through what you're learning even more. + How do I get there and where do I park? Flights are available through the Pensacola International Airport and are very reasonable via Southwest Airlines. Ubers and taxis are available as transportation from the airport to the beach house. Our house is approximately 14 miles from the airport. Parking is available at the house directly on the property. No hotel parking fees here! + This conference is a lot more expensive than some other creative conferences. Why? We know the Conference is a big investment, but our goal is to make it a priceless experience for you. Three nights of accommodations are included, along with breakfast, lunch, and dinner as well. All you have to cover is your travel, and we will take care of the rest. Our Conference fee covers time with our experts, our workbook full of pages for your business planning, and some delightful surprises along the way. We bring in TOP talent and experts with real business experience. Once you have joined us as a Conference Alum, we offer alumni discounts on future events and you have access to our exclusive alumni forum, full of creative business owners just like you. We do offer a payment plan at the regular rate to help with the investment. All you have to do is get here and the rest is taken care of for you. + Are my travel costs included in the price? Conference Registration includes your meals, your accommodations, and all conference materials. Your individual travel costs for you to come and join us are not included in Conference Registration. The way that we look at it is all you need to do is get here, and we will take care of the rest for the time you are with us at the Conference! Due to the all inclusive nature of the Conference, all registrations are non-refundable and non-transferable, and we are unable to offer refunds after registration (unless something crazy happens and we had to postpone or cancel the conference - then we'd happily fully refund your registration). If you are interested in learning even more about our Conference Experience, read a few of our recent posts. Do you have a specific question about this year’s Conference Experience that is not addressed above? Contact us here!